This spring, Sting will appear in "Still Bill", a new film chronicling the life and times of soul legend, Bill Withers. "Still Bill" is an intimate portrait of soul legend Bill Withers, best known for his classics 'Ain't No Sunshine,' 'Lean On Me,' 'Lovely Day,' 'Grandma's Hands,' and 'Just the Two of Us.' With his soulful delivery and warm, heartfelt sincerity, Withers has written the songs that have - and always will - resonate deeply within the fabric of our times. 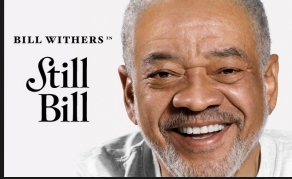 "Still Bill" opens at New York's IFC Center January 27th - February 4th, with special guest Bill Withers. Withers will be in attendance for a special Q&A events with the filmmakers Alex Vlack and Damani Baker Jan 26 at the Park Slope Pavilion Theater in Brooklyn as part of the Celebrate Brooklyn! Performing Arts Festival special screening event and the film's opening two nights at NYC's IFC Center (Jan 27-28). Tickets for Still Bill at the IFC Center are available at: www.ifccenter.com/. Fans not able to make the NYC showing, can host their own screening by registering at www.stillbillthemovie.com/.